Day cream is so important for many reasons. It allows you to prep and protect your skin for the day ahead. Prep your skin for makeup to allow a smooth application or protect against external stress. Coming into the winter months I do believe a day cream will become your best friend. Why should you use a separate product for day and night? They do different things for your skin. I will talk about night cream in my next blog post but for now let’s concentrate on my favourite day creams. Protection against dehydration caused by central heating, wind etc…. 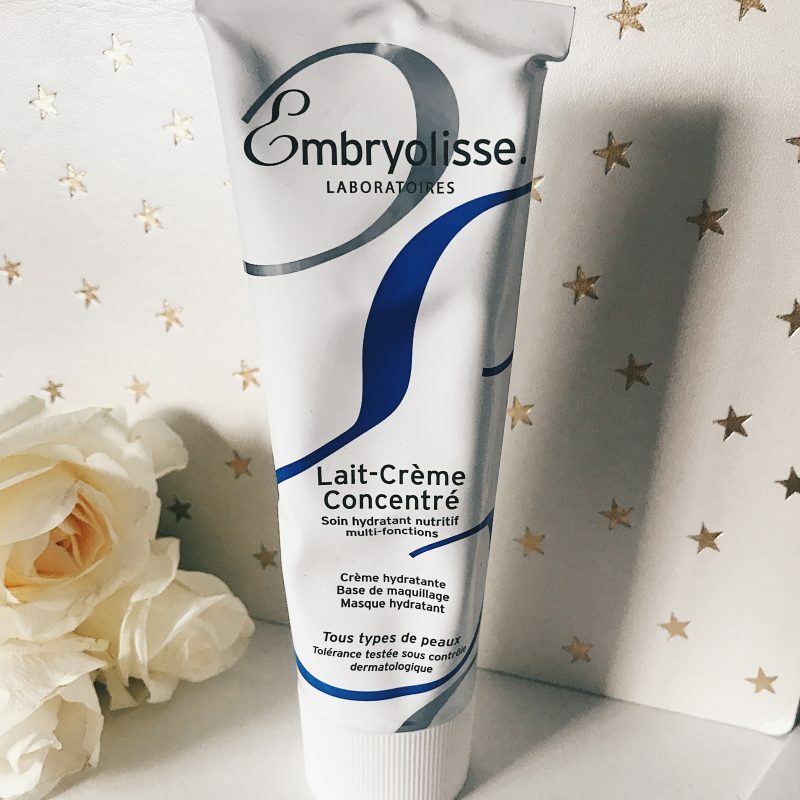 Up first has to be the Embryolisse Lait Creme Concentre. I have been using this for years. It is one of my favourite winter moisturisers as it also acts as a makeup primer and a moisture mask. I discovered this through the Pixiwoo sisters on youtube and have repurchased countless tubes. Paraben free and containing beeswax, shea butter and aloe vera. If you have dry skin you will love this. It is available to buy in store in larger Boots or online HERE. 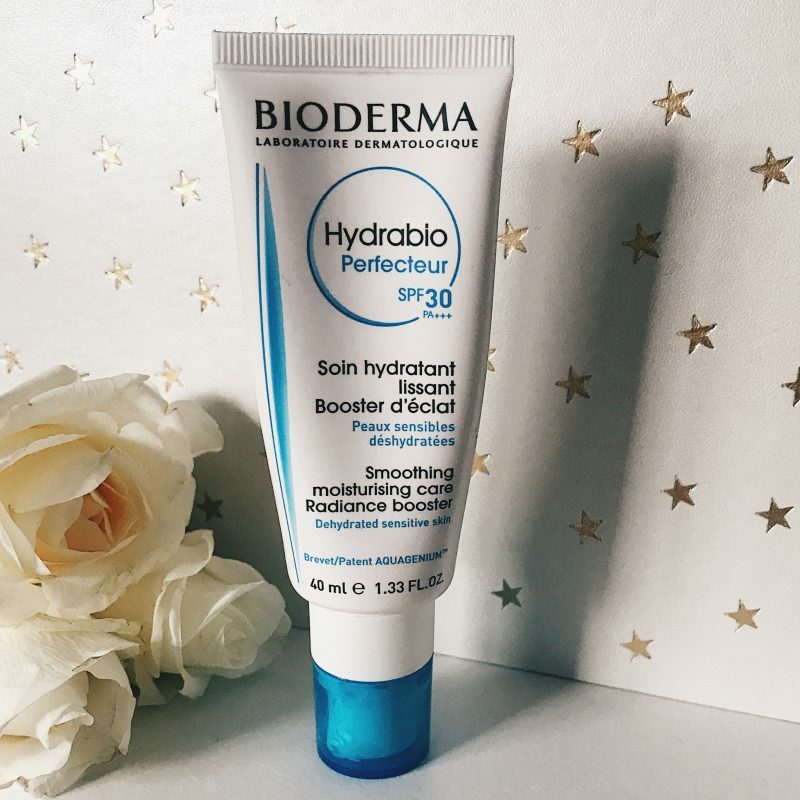 Bioderma Smoothing Moisturising Radiance Booster for dehydrated/sensitive skin is another of my must haves. It contains a skin friendly SPF30 and gives the most beautiful glow to the skin. My makeup sits really well over top and my skin feels smooth. As you can see I have emptied a full tube and will purchase a second. 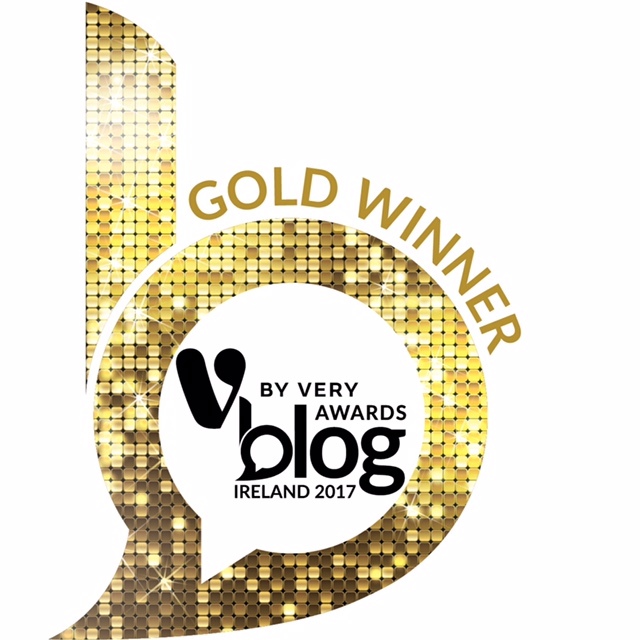 You can buy HERE for under 19 euro. 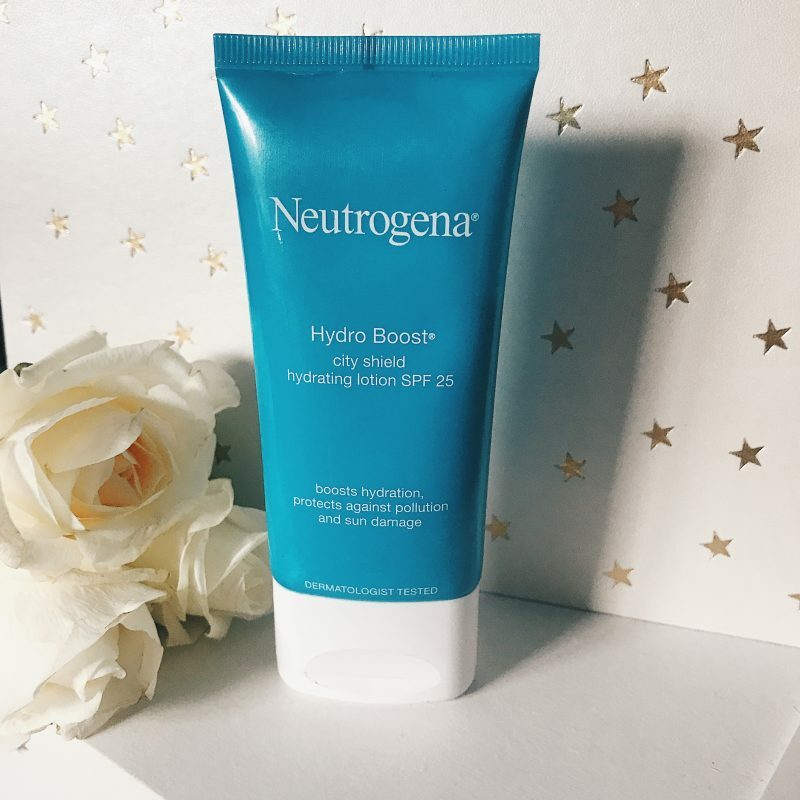 Neutrogena Hydro Boost City Shield has an SPF25 and helps protect your skin against sun damage and pollution. A lot of my followers recommended this to me as well so I’m confident in telling you it is worth a try. It is hydrating and non greasy. You can buy HERE for 6.50 euro. 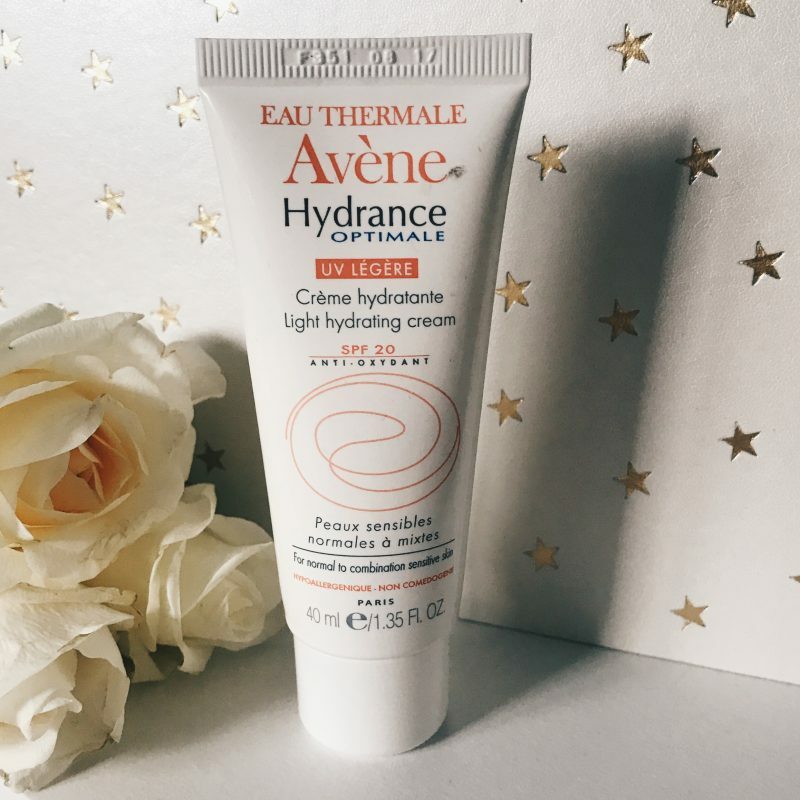 Avene Hydrance Optimale Light Hydrating cream is a good option for those of you who have oily but dehydrated skin. Formulated with the famous naturally active thermal spring water it has a hydrating but mattifying effect on the skin. Bonus points for SPF20! You can purchase HERE for 25 euro. 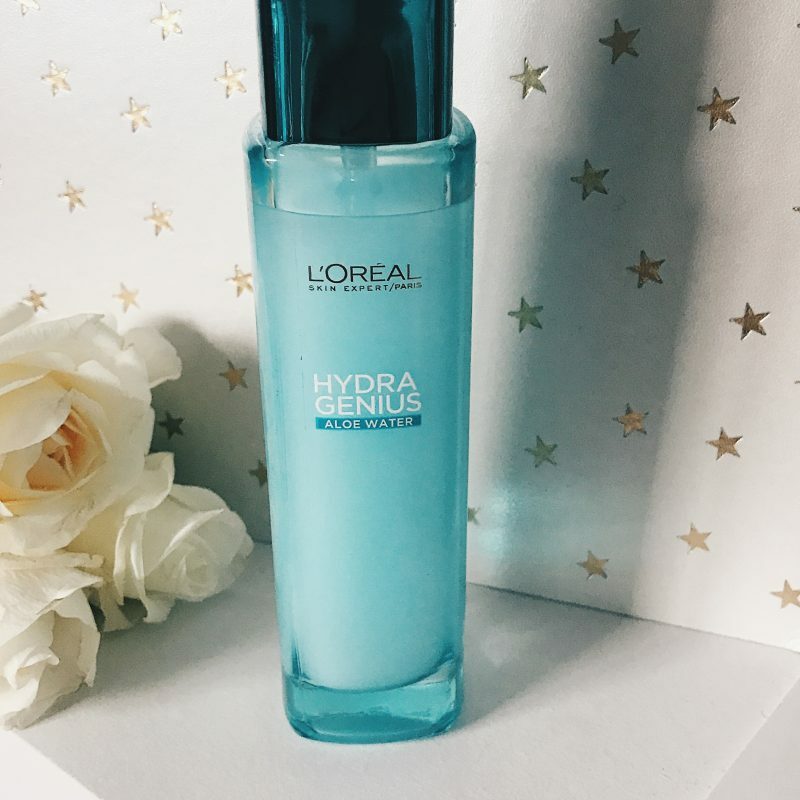 L’oreal Hydra Genius Aloe Water is a product I have fallen in love with over the past month. Inspired by Asian Skincare this is like a long drink for your skin. Comes in a formula for dry skin or oily skin it has most of you covered. Feels really light on the skin but hydrating. Best of all it is approx 15 euro HERE. 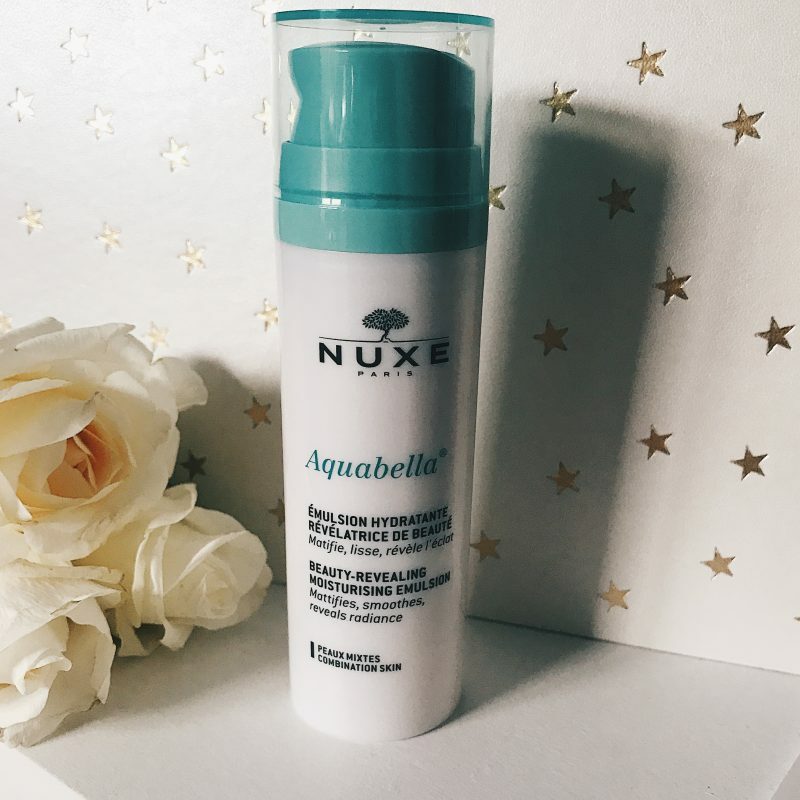 Nuxe Aquabella Beauty Revealing Moisturising Emulsion is another option for my combination skinned friends. Designed to hydrate and smooth but mattify the skin, it smells delicious! It contains white waterlily and a 100% natural blur complex and you can purchase HERE. 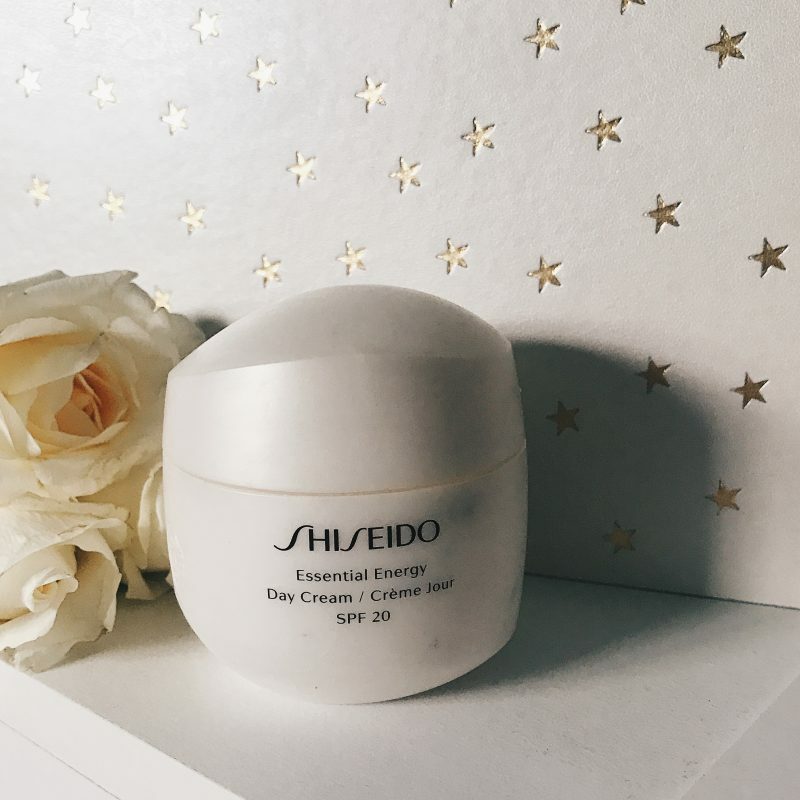 Shiseido Essential Energy Day Cream has an SPF20 and designed to energise your skin to improve dullness and dehydration. All I can say about this is that I have gone through two tubs of it. It smells good, feels luxurious and my dry skin drinks it up. There is also a gel version for those that want something lighter. You can purchase HERE for 59 euro. 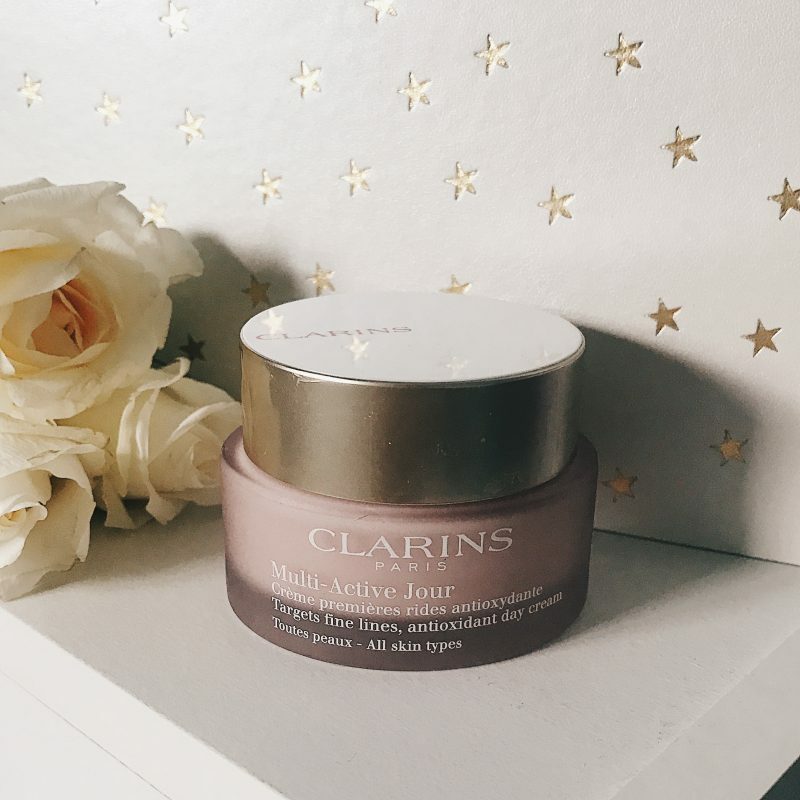 Clarins Multi Active Jour is an antioxidant day cream that targets fine lines. I am about half way through my tub of this and I am really enjoying it. The cream comforts my dry, sensitive skin thanks to new myrothamnus extract. The extract minimises the impact of daily stress to help keep skin smooth and radiant. You can buy for 57 euro HERE. 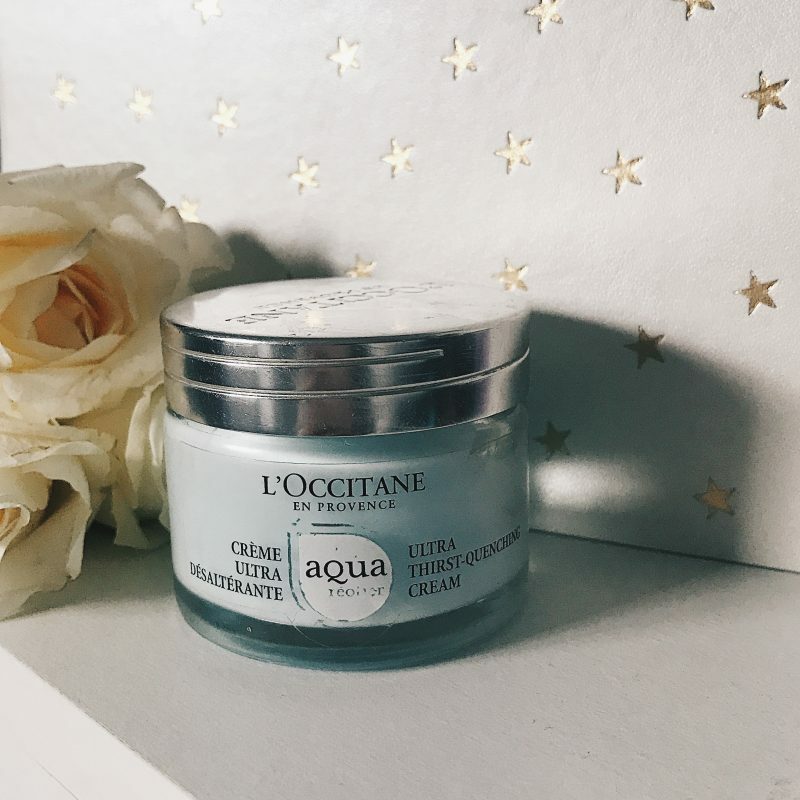 L’Occitane Ultra Thirst Quenching Cream is another product I have gone through a whole tub of. This feels so fresh on the skin and immediately hydrating. 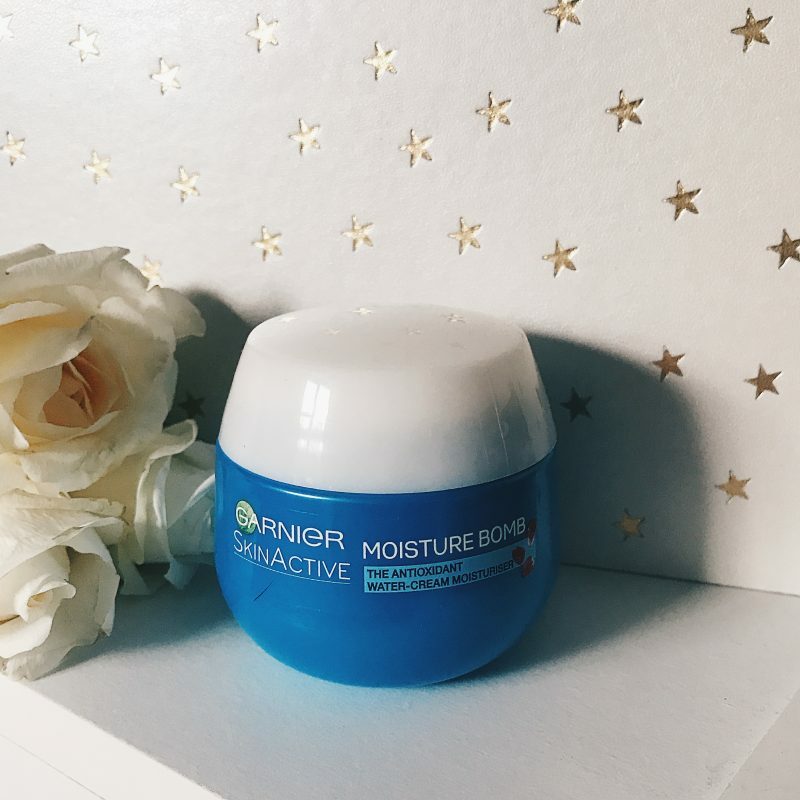 Enriched with hydrating hyaluronic acid and calcium rich Réotier water known for its properties to help skin maintain its hydration barrier and retain moisture, this melting fresh cream hydrates the skin while comforting it. It soaks in quickly and is gorgeous under makeup. You can purchase HERE for 29 euro. 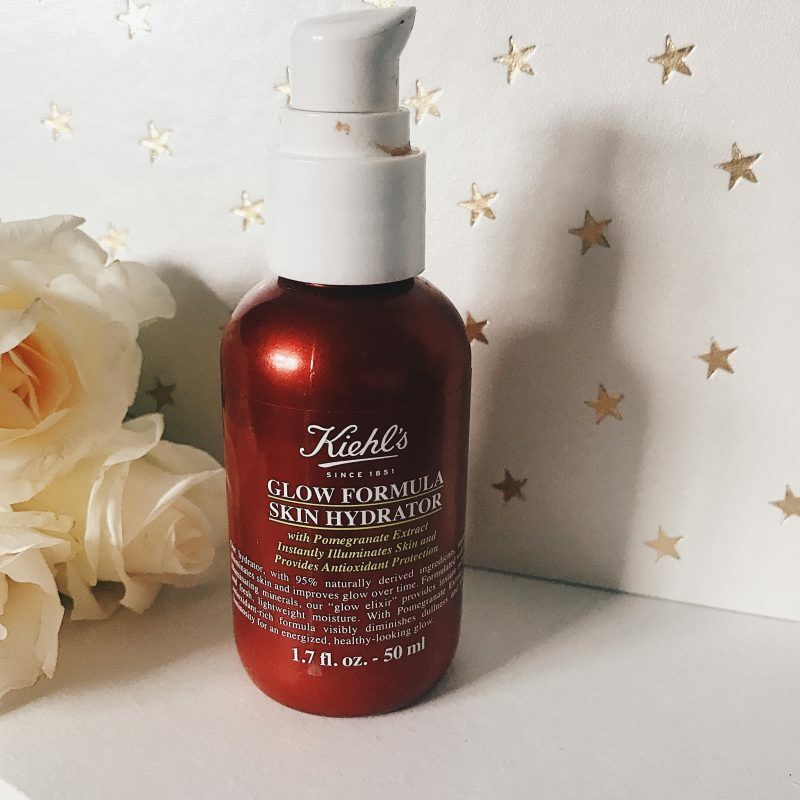 Kiehl’s Glow Formula Skin Hydrator is the most beautifully glowy skin cream. It has a slight peachy tint that buffs into nothing as you massage it into your skin. What you are left with is a stunning glow that looks like you are ‘lit from within’. I love this stuff and will be repurchasing once this runs out. It costs 35 euro HERE. 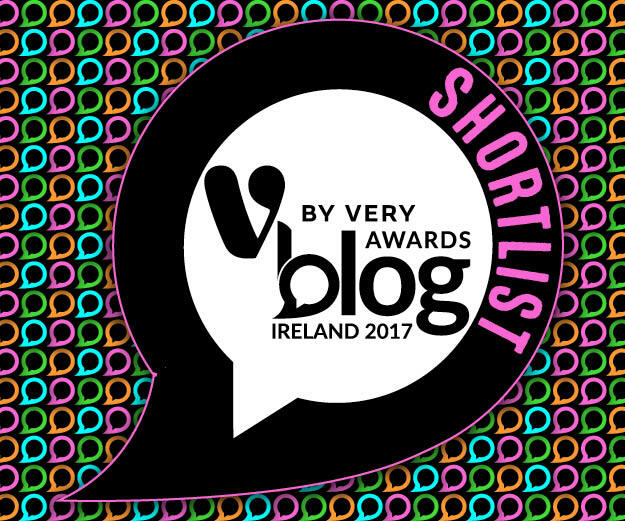 So there you have it, all of my favourite Day Creams that will hopefully suit a variety of skin types and budgets. 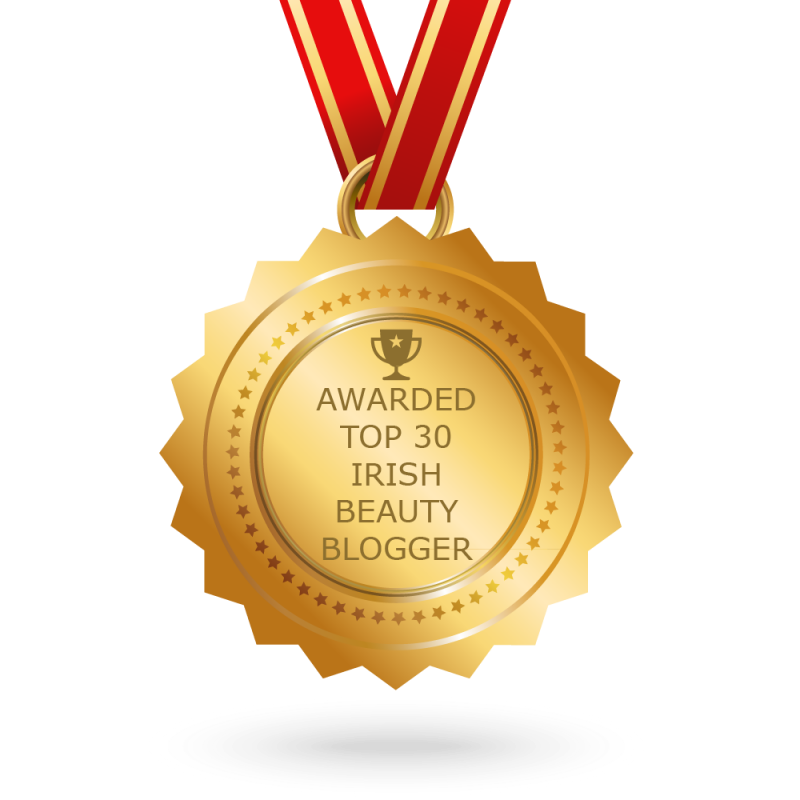 Two more posts to come for skincare week and then I will pick my five winners. 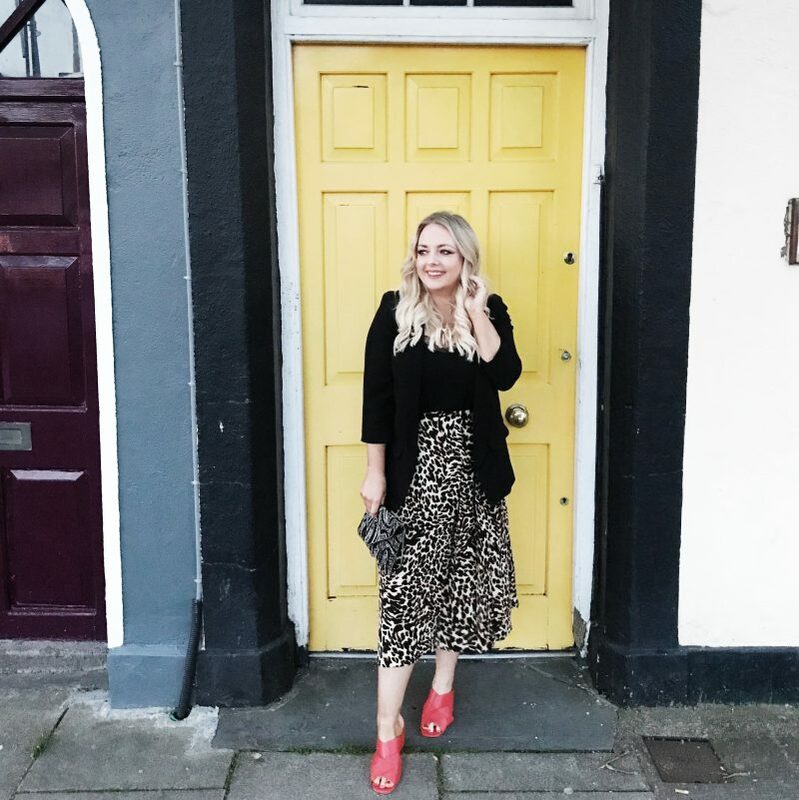 Be sure to follow my Instagram to keep up to date and don’t forget to tell me your favourites!